Bumbershoot is more than just a music festival with a killer line up. In fact, it was created to be an “Umbrella for all the Arts” all the way back in 1971. Taking place at the Seattle Center, it’s in the perfect location to see the best of comedy, dance, film, literary arts, music, performing arts, theater, visual arts and more! If you decide to attend the festival only for one day, consider staying to explore the spectacular city. There is so much going on in Seattle! This time of year the weather is perfect for exploration. Check out the various neighborhoods, take picture on top of Queen Anne hill, see the locks in Ballard, and find the infamous Troll! No matter what you decide to do, Seattle will be city worth seeing. Fly.com wishes you happy and safe travels. 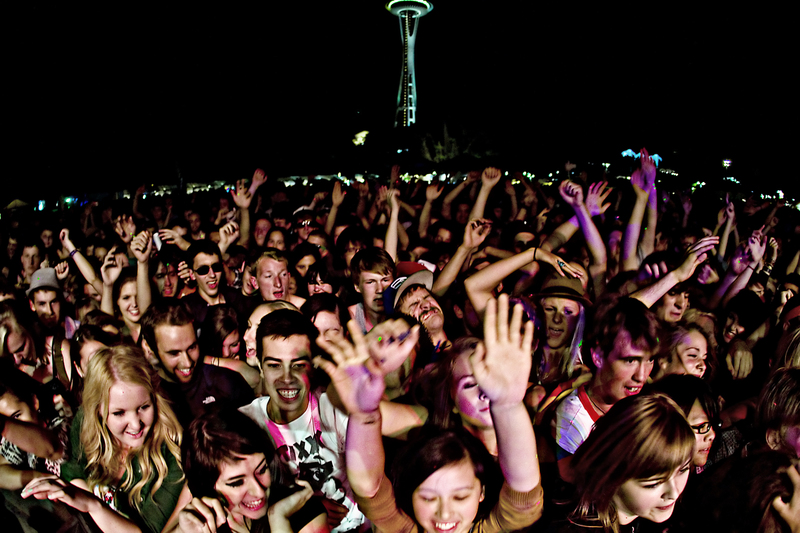 We listed some flight prices for the Bumbershoot weekend, but go to Fly.com for any of your other flight needs! P.S. – For all my coffee lovers out there, check out Vivace’s when you are downtown. Grab a caffe nico – you’re welcome. Learn more about Bumbershoot here. Feeling inspired to look for some cheap flights? Head over here to do that.